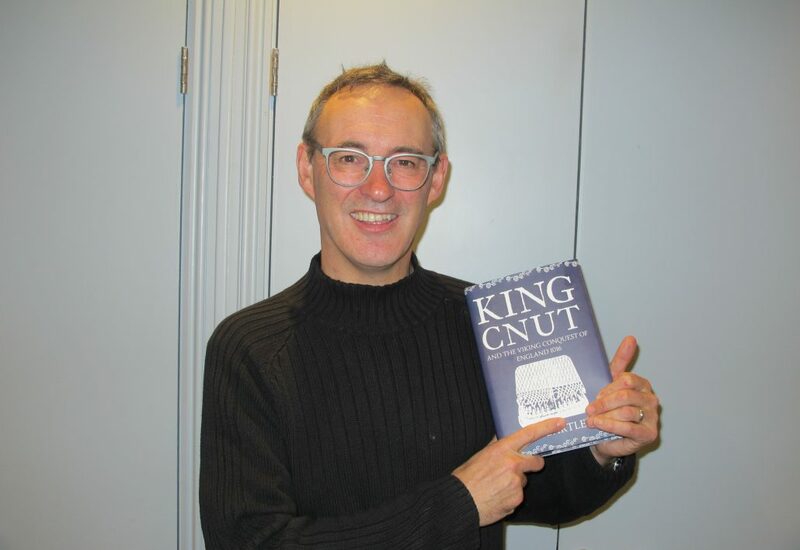 A full house at December’s Shaftesbury & District Historical Society lecture heard a lively presentation from Dr Wayne Bartlett on Cnut the Great – a Shaftesbury Perspective. The English crowning of the conceivably twenty-one year old Cnut took place at Christmas 1016 and by 1027 he was a major figure at the coronation of the Holy Roman Emperor in Rome and styling himself “King of all England and Denmark and the Norwegians and of some of the Swedes.” Though as ruthless as any Viking, Cnut was a generous supporter of the Christian Church and received a positive press from contemporary monastic chroniclers. The story of his failure to command the tide dates from a century after his death at Shaftesbury in 1035 and was intended to highlight his humility rather than his vanity.